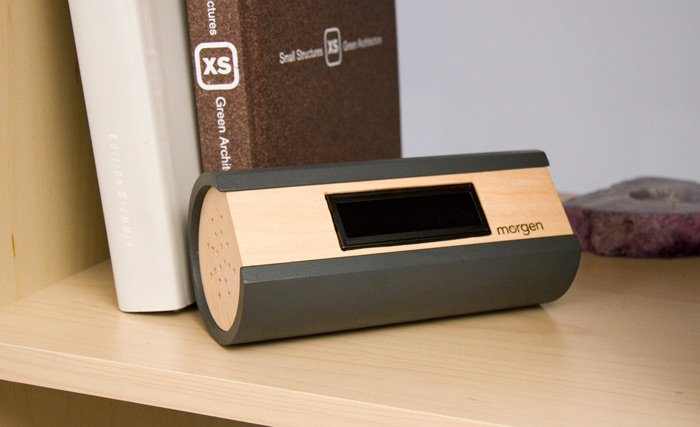 Morgen is based on the idea that while many people hate their alarm clocks, few hate their mothers. 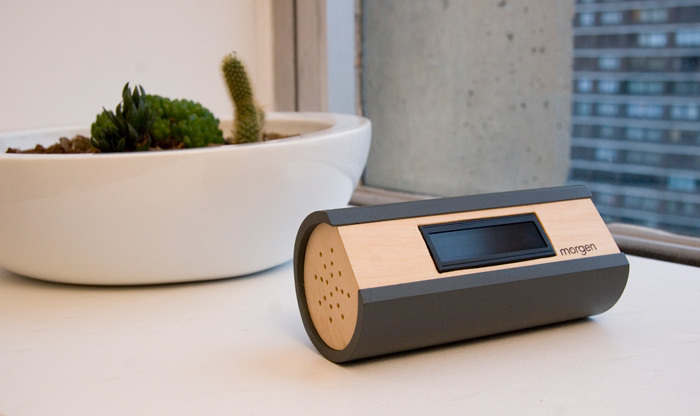 Morgen is an interface that uses the connections between people to make waking up a more dynamic and meaningful experience. 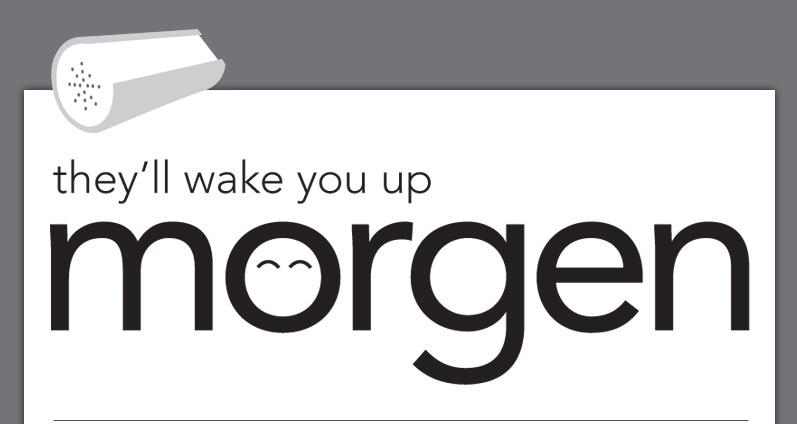 Via a Facebook application, friends and family can vie for the job of waking up the Morgen user on a particular day. 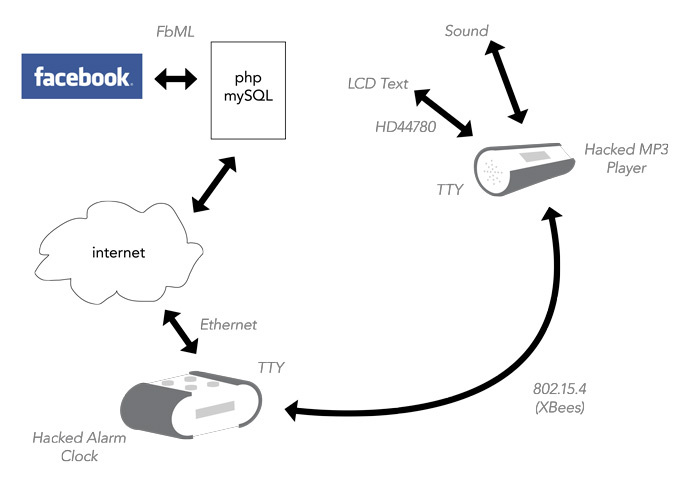 They create a new message that makes its way wirelessly to one of Morgen's nodes—an expandable system of networked objects that the user can place throughout the room. The user knows that each day, they will receive a new message from someone, but they will not find out whom until they walk over to their alarm in the morning. 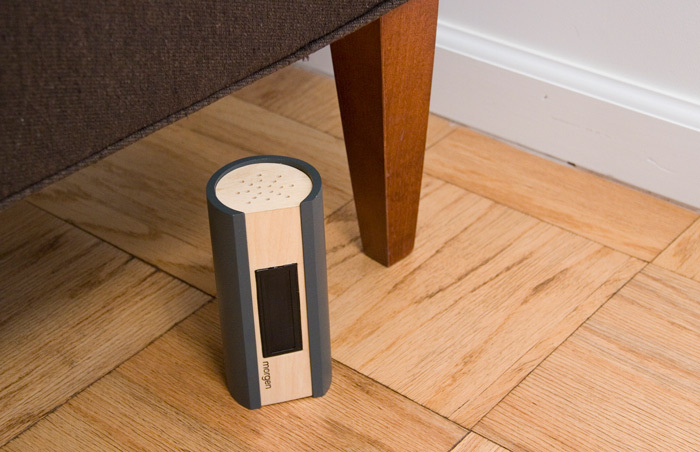 At the time the user wishes to wake up, one of the nodes begins to make sounds, which gradually increase in volume. 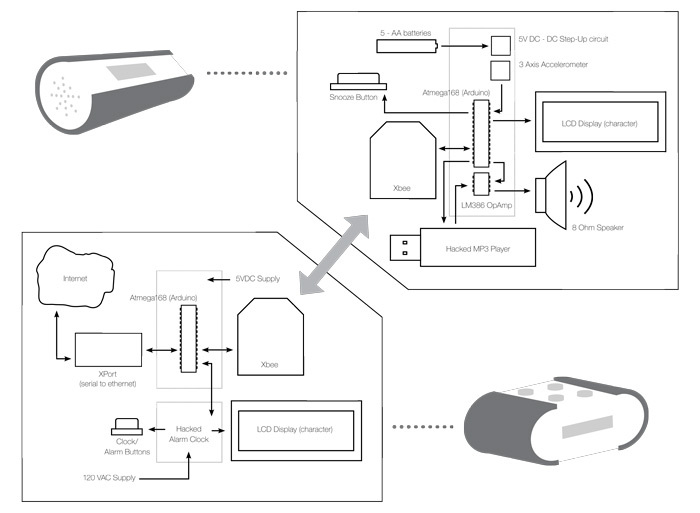 Knowing that s/he must get up in a certain amount of time to keep their "appointment" with their friend or family member, the user leaves the bed and locates the node that contains their message. Shaking the node turns off the sound and displays the name of the sender and the message on its screen. This message will be archived on an Internet site for the Morgen user to keep. It will also send an email to the message-sender letting them know that the user received their message. If the user fails to get up in time, the message will disappear forever, and an email will be sent to the message-sender, letting them know that the user did not get up in time. The users successes and failures will also be posted to the users Facebook profile for their wake-up community to see. 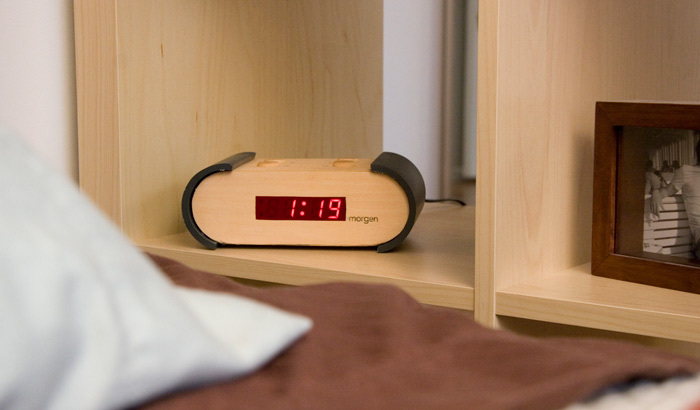 Morgen uses personal relationships to create something worth getting up for every morning. 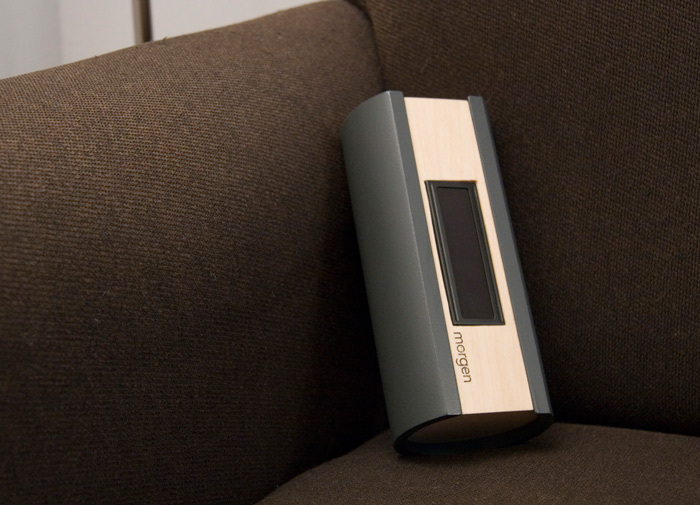 Because it has the ability not simply to receive messages, but to transmit information about the user's interaction back out to friends and family, Morgen is more than a system of objects; it is a network of people, each with a different way saying good morning.